BOOKING - Escape Artist Centre Co. PLEASE SELECT THE ROOM YOU WANT TO PLAY! You can read about the booking terms and conditions HERE! 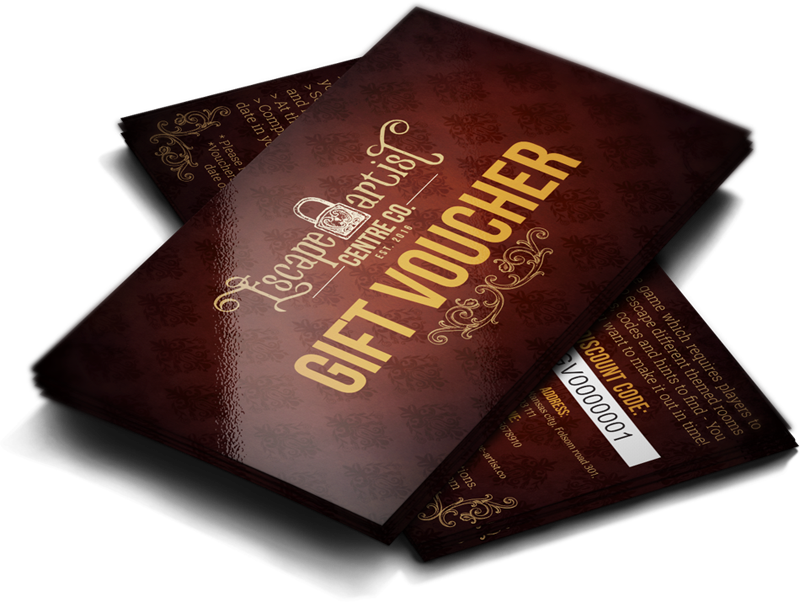 We offer special voucher cards or online vouchers for you. You can buy them in our booking system, and you can gift them to anyone to redeem, or you can use it for yourself. Give a unique gift of 60 minutes of Live fun and escape adventure for absolutely anyone.